Our Patrons are (pictured from the left) Rt Revd Graham James, Bishop of Norwich, Delia Smith CBE (with extreme runner Alexandra Panayotou, another supporter) and Susan Hill CBE. – for very kindly allowing us the use of their modern convenient industrial units at the Henderson Centre on Ivy Road and also for providing us with a grant which has enabled us to move into one of their hi-tech offices at the Henderson Business Centre. The aims of Henderson Trust include helping to build partnerships between agencies and the community to benefit the lives of local residents. 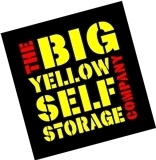 The Big Yellow Self Storage Company - For providing us with free storage space. PLUS an ENORMOUS THANK YOU to all the churches, schools and other organisations who provide us with regular food contributions.